Clear Tents are perfect for social or corporate events. 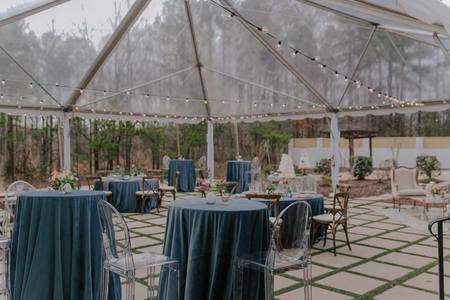 Clear Frame Tents can be staked or weighted. Permitting fees may be applicable. Contact us today to set up a site visit and get a quote. Size: 10', 14', 16', 20', 30' & 40', 50' wide sizes.